What is the Student Conduct Code? 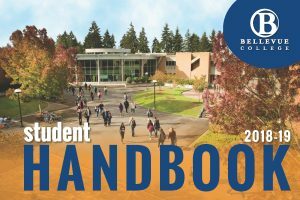 The Student Conduct Code of Bellevue College (WAC 132H-126) outlines the rights and responsibilities of students in the Bellevue College community. These rights and responsibilities include due process rights, appeal routes and behavior expectations. Creating and sustaining a safe, inclusive community requires everyone’s help and commitment. Students, staff and faculty are encouraged to report a concern online at www.bellevuecollege.edu/reportconcerns/. Individuals may also contact the Manager of Student Conduct, Megan Kaptik, to discuss concerns. Additional resources include the CARE Team, Public Safety and Office of Title IX.